This file photo shows Filipinos smiling. 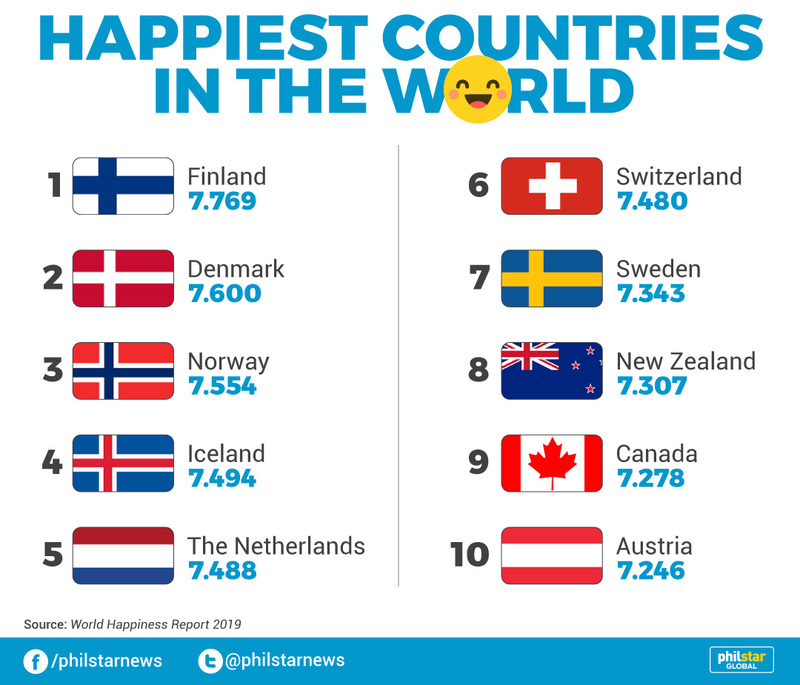 MANILA, Philippines — The Philippines is the 69th happiest country in the world, according to a United Nations report released on the International Day of Happiness. The World Happiness Report 2019 used survey data asking citizens in 156 countries how happy they perceive themselves to be as well as measures such as life expectancy, income and social support. 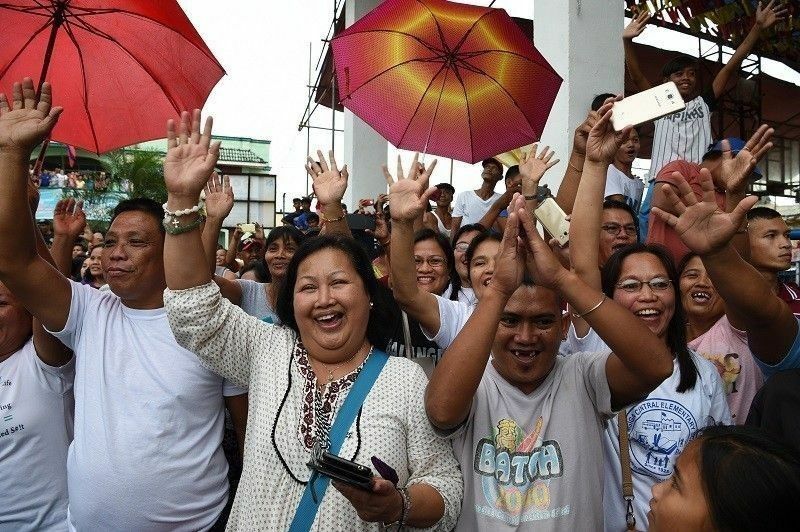 According to a Social Weather Stations survey released Sunday, 87 percent of Filipino considered themselves “very or fairly happy.” The polling firm noted that this is the “lowest in four years” since the 85 percent recorded in December 2014. The same survey also found 82 percent “very or fairly satisfied” with the lives they lead. Finland ranked as the world’s happiest country for the second year running with an average score of 7.769. Nordic countries such as Denmark, Norway, Iceland also ranked up high on the list. 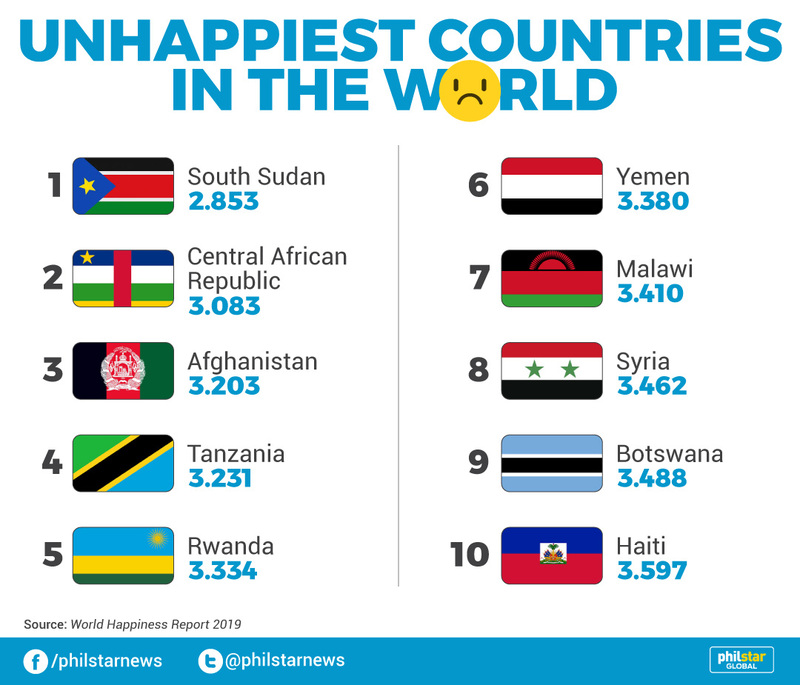 Meanwhile, war-torn South Sudan is the least contented nation. Other conflict-ridden countries such as Yemen, Afghanistan and the Central African Republic also featured at the bottom of the list.